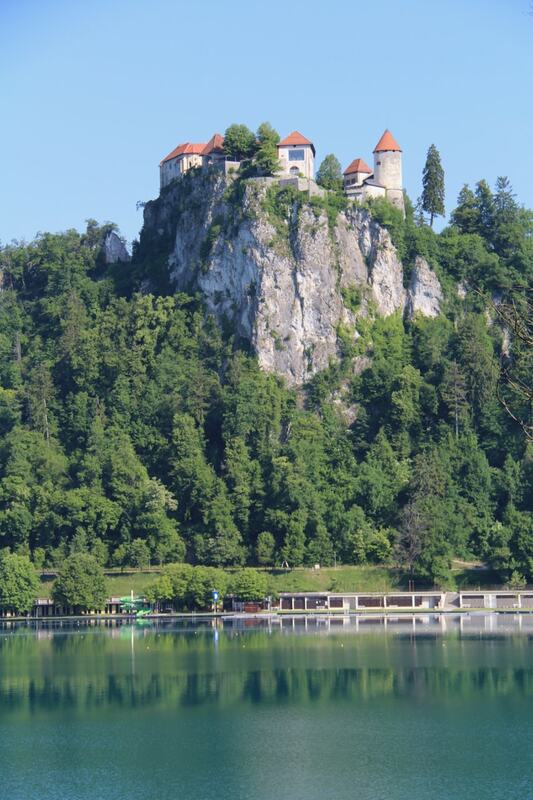 Lake Bled is one of Europe’s most iconic sights. 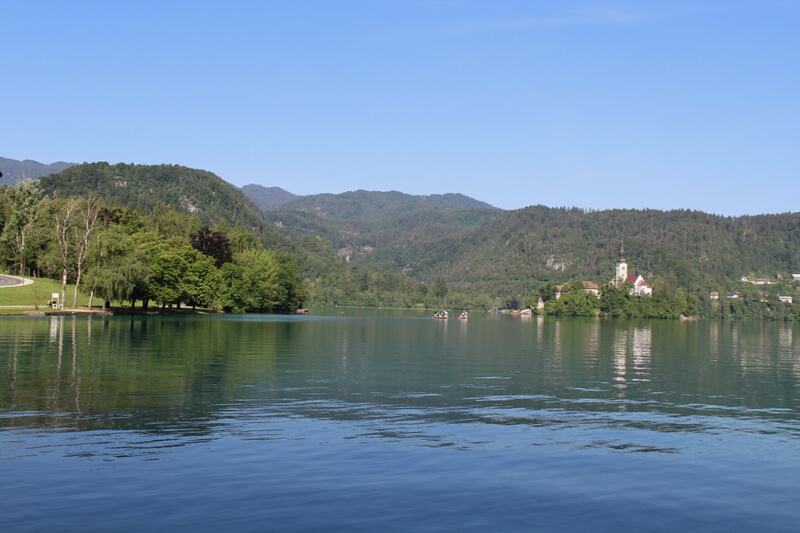 This small lake (only 2km x 1.4km) is heated due to it’s nearby thermal springs… so swimming is an option for active families. There’s also the iconic island and a medieval castle clinging to the cliffs with the backdrop of the Julian Alps to enjoy too! 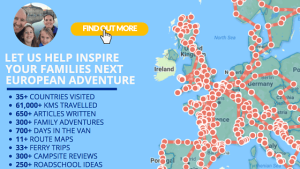 So with much wailing and gnashing of teeth from the backseats, we’ve packed up the vans and headed northwards through Croatia and into Slovenia. 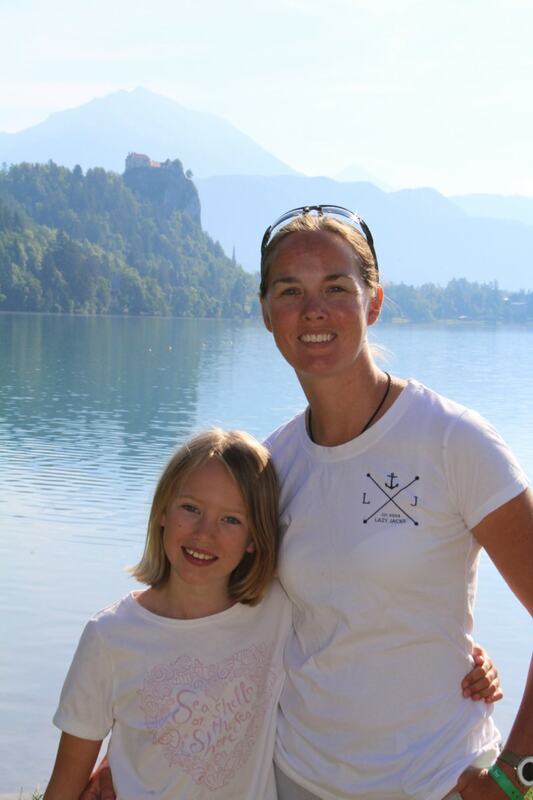 We’ve yet again loved the opportunities that Croatia presents to families, and would return in a heartbeat given half the chance! 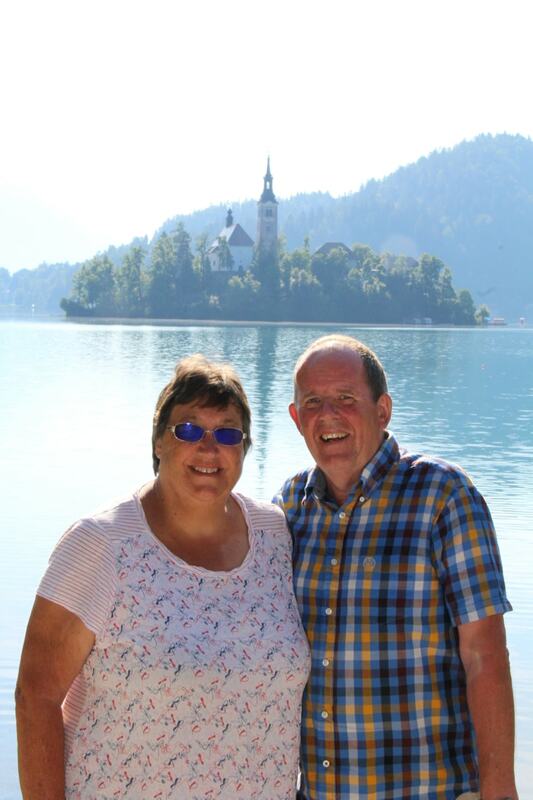 This is our second visit (see our earlier blog post here) after enjoying some of Slovenia’s other treats last year including Piran, Postojna Caves, Predjama Castle and it’s capital Ljubljana. 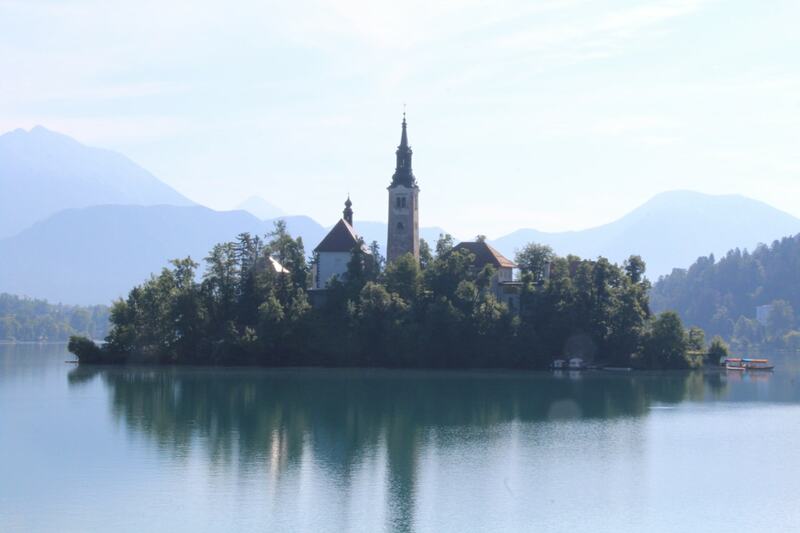 But we only had a day to spare this time enroute to Austria… so where better than Lake Bled! 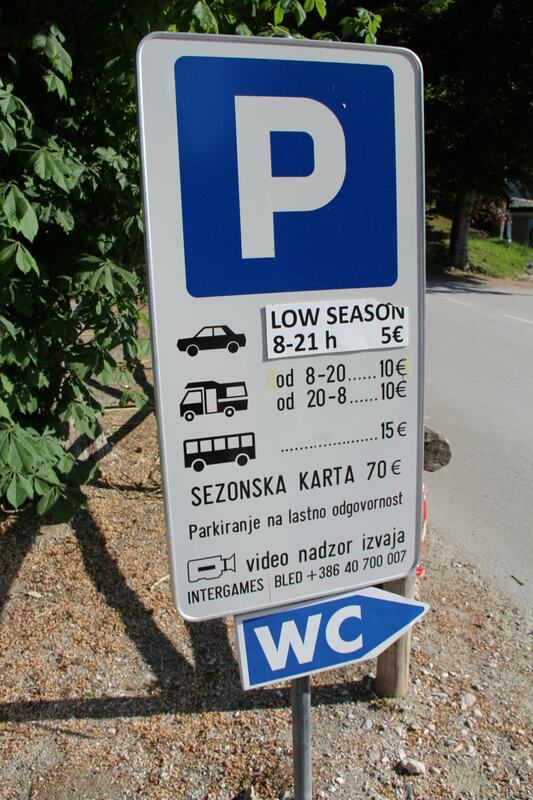 But for any family motorhomers heading this way soon, we were pretty frustrated by the lack of value at Camping Bled compared to the cheaper nearby parking option. 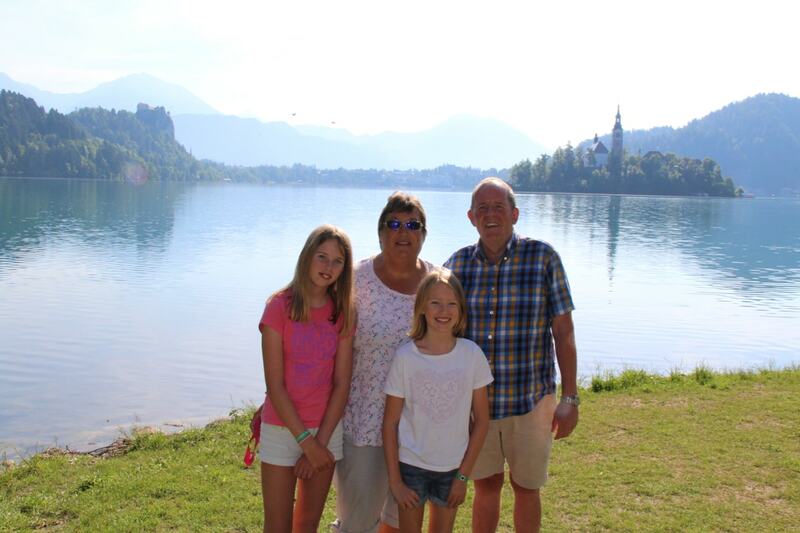 Yes we realise it’s iconic and we understand that lake side campsites can all charge a premium. But is it really value for money? 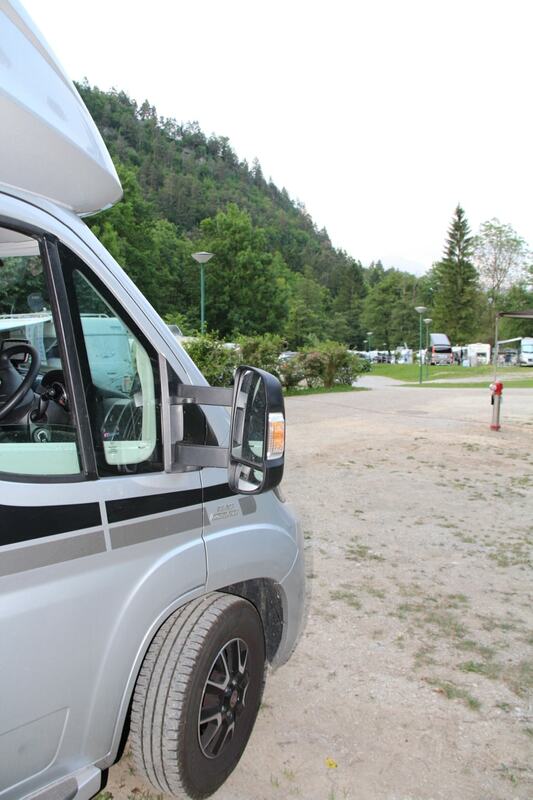 Having used our ‘out of season’ ACSI card across Europe, we’ve become accustomed to good value campsites at reasonable prices. Sometimes it irks us that we pay at least 7 Euros more due to having 2 children in the van too (so a 15 Euros/night campsite soon becomes more than 22 Euros…) but by and large it does keep costs down. Especially as we’re trying to live on 50 Euros a day and give our girls lots of roadschooling opportunities. But despite this little ‘hiccup’ you really can’t deny it’s got a phenomenal view! Truly spectacular! and just part of the learning curve when taking a European Roadtrip…. 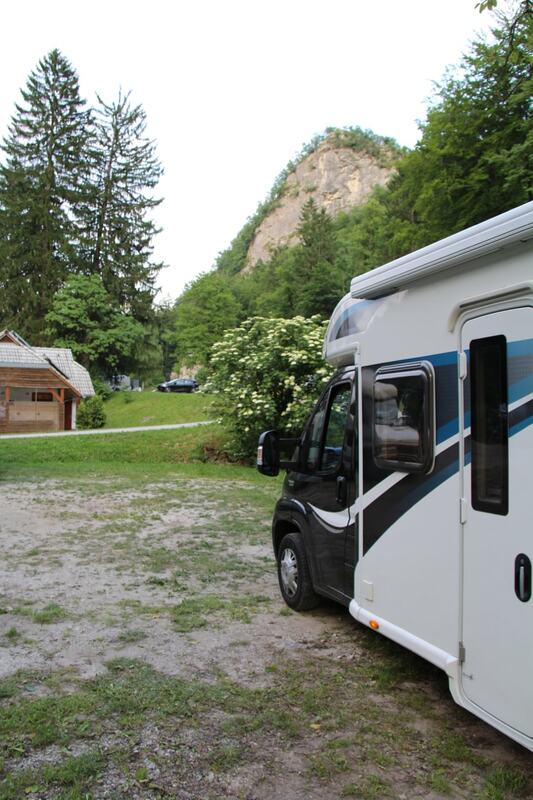 So we once again set off in poor light and a trip to the capital Ljubljana, and the eco friendly campsite Ljubljana Resort… whilst the girls played on the excellent campsite playground trampoline we set up camp once more…. the city and old town /castle await tomorrow… fingers crossed it doesn’t rain like the forecast suggests!!! A great day and one that we can’t thank Slavica Sterk enough for organising with her fellow Slovenian colleagues… Thanks Adria UK and Adria Mobil!!!!! !